Many LSBU students join us having followed a fairly traditional route into higher education, but we are a diverse, accommodating institution that is also home to plenty of students who have taken a different path before finding the right degree for them. 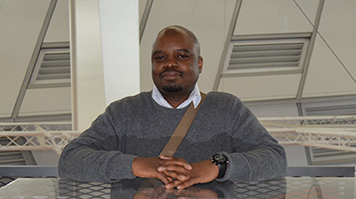 As well as the theoretical elements of the degree, Lloyd was also introduced to lots of practical, hands-on applications of his new understanding, and one skill – the ability to use Revit – has proven especially useful. I loved the design and sustainability modules. They helped me to understand a lot of the things I should be considering when working on a project – whether it is for a new construction or an update to an existing one. Lloyd is now settling into life as an architectural technologist, and is looking to take the next step of working towards chartered status with the Chartered Institute of Architectural Technologists (CIAT).